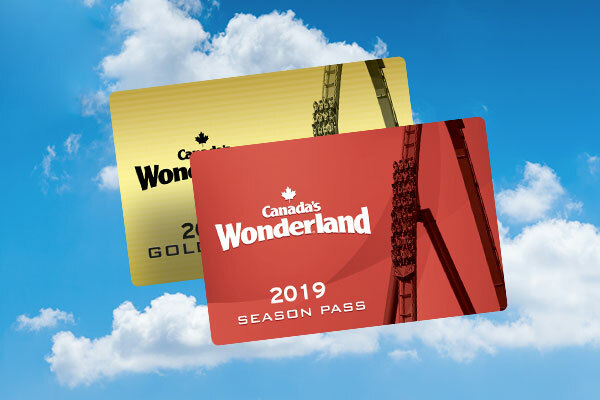 WinterFest is Free for 2019 Gold and Platinum Season Passholders! 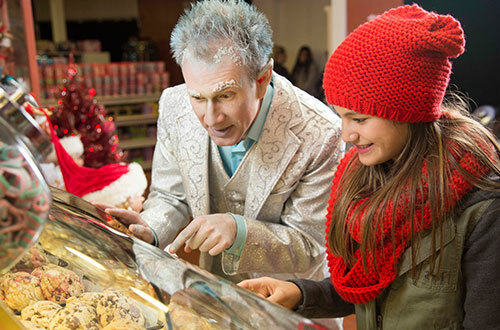 Canada’s Wonderland will be magically transformed into a winter Wonderland full of enchantment and holiday cheer! 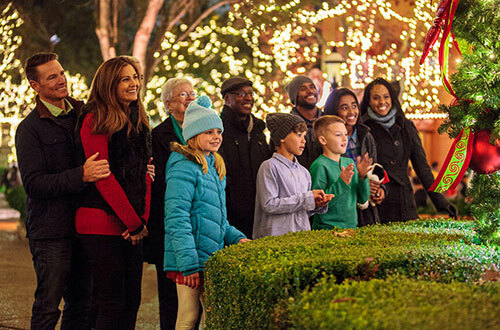 Become immersed in the season’s spirit with spectacular holiday lights and décor, world-class live entertainment, savory treats and fanciful experiences. 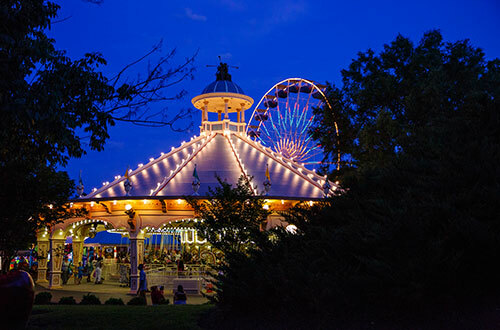 Millions of lights will adorn the midways and uniquely themed areas throughout the Park will be transformed into a winter Wonderland while Wonder Mountain lights up International Street. We’re spreading Christmas cheer and singing loud for all to hear! 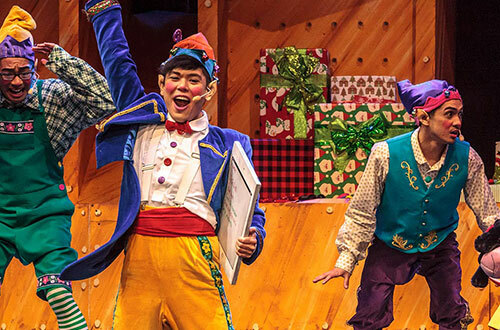 Catch performances of Cool Yule Christmas, Jingle Jazz and be dazzled by Snoopy and the Gang in their holiday themed show. 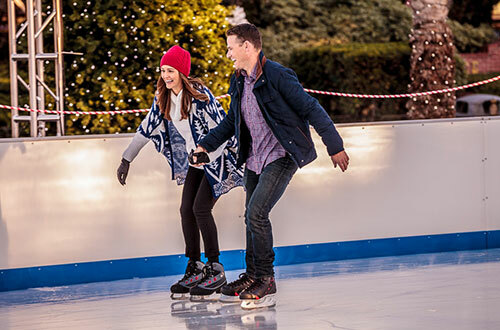 Enjoy ice skating on Snowflake Lake in the shadow of the iconic Wonder Mountain, visit the North Pole Post Office where elves will help the kids mail a letter to Santa, decorate cookies in Mrs. Claus’ Kitchen and more. Our executive chef and culinary team will have a scrumptious holiday style menu of treats and traditional dishes for your taste buds, featuring smoked turkey, carved ham with all the fixings, gourmet hot chocolate, peppermint fudge and so much more! 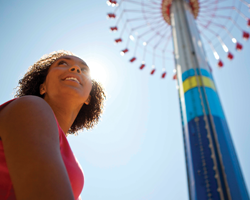 The holidays are even more cheerful when kids can experience some of their favourite attractions. 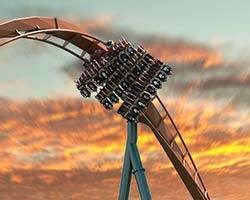 Select rides and attractions will be open for families and friends to enjoy together (weather depending). Celebration Plaza will serves as the unofficial opening to WinterFest each night as it plays host to the celebratory lighting ceremony. 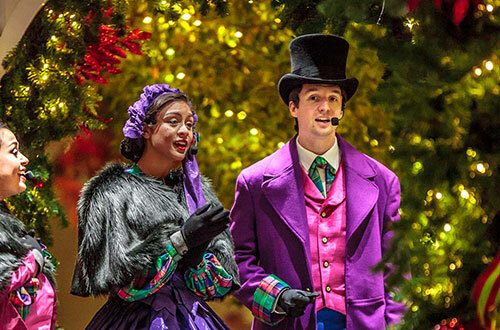 A grand performance with professional singers and dancers will set the stage with an upbeat array of holiday sounds. 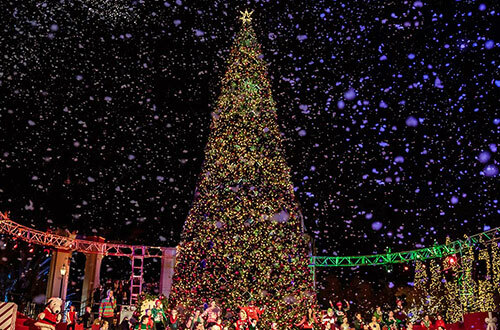 When the magical moment nears, the crowd will count down as Snoopy and his special guests light up the Christmas trees showcasing a dazzlingly display of lights and decorations. 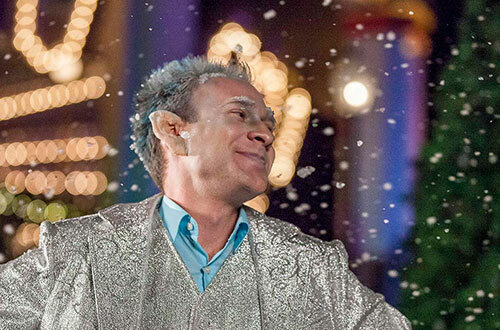 What would a Christmas celebration be without Jack Frost, The Sugar Plum Fairy, Candy Cane, Jingle Bell and a host of other holiday characters, all here to welcome you to WinterFest. Have your camera ready to snap a selfie with all of your new friends. Get ready for a merry celebration! This talented cast of entertainers will perform all your favourite Christmas pop songs with incredible choreography, enriched by amazing special effects and stunning costumes. Making cookies for Santa is one of the most traditional Christmas activities of all. The only person who makes better cookies than mom is Mrs. Claus. Her cookies are the best, and she invites you to stop by and decorate four of her delicious cookie creations. 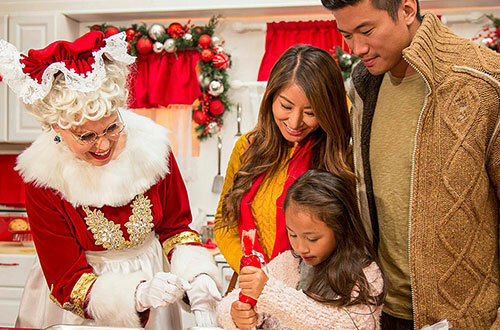 For our WinterFest guests, Mrs. Claus has replicated her North Pole kitchen from the holiday decor to the stove, where her secret cookie recipes come out piping hot. 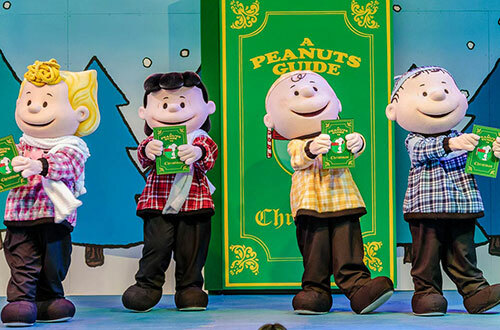 Join Charlie, Lucy and Linus in a fun-filled holiday sing-along as they prepare to celebrate the most wonderful time of the year! The PEANUTS gang talks about writing letters to Santa, how to give the perfect gift, their favourite holiday food and what Christmas means to them. You know the words! What better way to get into the holiday spirit than with an old-fashioned, high-energy sing-along? 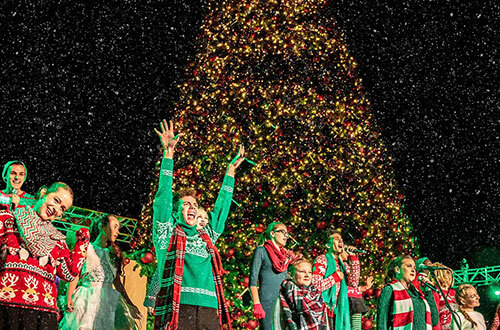 Guests of all ages are welcome to join our holiday singers. 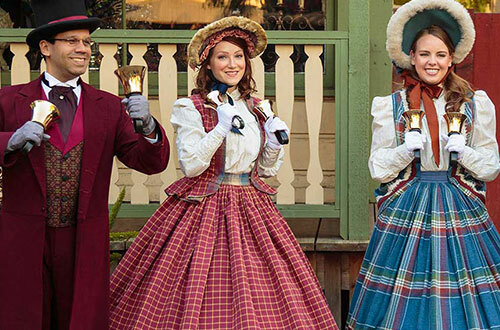 Our group of Dickensian carollers will perform beautiful renditions of holiday classics nightly, which is sure to spread cheer with this group's vocal harmonies. The Mistletones, a trio of star-struck songstresses, perform nightly singing classic tunes reminiscent of the 1950's. Follow along as they perform in vintage attire – long elegant skirts, red dinner jackets and perfectly pinned hats create the ensemble. The Acapella trio will take guests back in time when the purity of the singing voice reigned over the radio. The best Christmas activities are the ones done with others, and even letter writing is special at WinterFest. 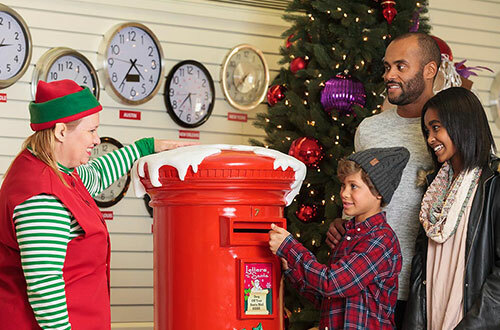 The elves have dressed up a special store to ensure all good girls and boys have the proper means to reach Santa Claus. Pens, crayons and paper are at the ready to make that special holiday request. It’s time to decide if you’ve been naughty or nice. A picture with Santa is a holiday tradition and the man in the red suit will be taking toy requests throughout WinterFest. 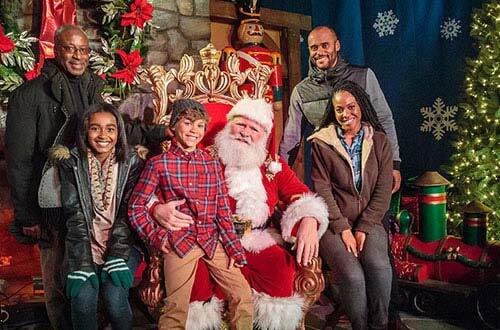 Santa is surrounded by holiday merriment as families gather around his chair, set next to an oversized fireplace, to ask for that special something and create a family portrait that will last a lifetime. 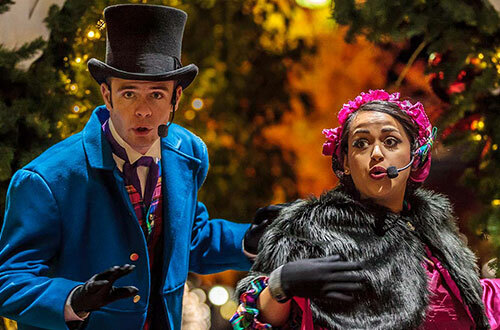 Enjoy a taste of holiday theatre as our Canada's Wonderland troupe performs their version of Charles Dickens' classic "A Christmas Carol".